"I was confused and sad and angry. I viewed crying as weakness. I was weaving a mask that said, 'I’m fine, I’m strong.' When really I was not fine and I needed help." Rey's mask made her feel like a performer. Eventually, she grew tired of the act. She longed to be free from the burdens and secrets that weighed her down. "I tried to run away from my problems in the form of running away from home and numerous suicide attempts." Rey became violent toward her mom, which caused them both to become angry. To Rey, everyone in her life seemed angry. She said hate grew in her heart, hate for everyone until it got to the point where she was almost put into foster care. 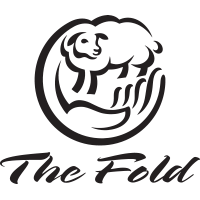 "One day at church a lady told us about The Fold’s program and we applied." After a few weeks of living in the Girls’ Home, one of the staff led a bible study about giving our full lives and heart to God. Rey found herself wondering if maybe this was the reason she had been so miserable. Maybe it was because her heart was devoid of Christ's love. "I had always looked at other Christians and seen this unexplainable joy inside of them. I decided this must be the case and I gave Jesus full control over my life. After that my life began to change." Prior to The Fold, Rey had come to see God as an angry dictator who was just waiting to punish people when they made a mistake. However, the more she trusted Him, the more she came to see Him as a loving, caring, and patient Father. She began to understand things about God she never had before. "In my weakness, He is strong. I have seen myself grow in patience, kindness, and trust. I am also learning how to honor the people around me." Some Bible verses that really helped her on her journey include Psalm 37:5, "Commit thy way unto the Lord; trust also in Him and He shall bring it to pass," and James 1:2-4, which says, "Consider it a sheer gift, friends, when tests and challenges come at you from all sides. You know that under pressure, your faith-life is forced into the open and shows its true colors. So don't try to get out of anything prematurely. Let it do its work so you become mature and well-developed, not deficient in any way." The turnaround Rey experienced at The Fold is nothing new. It's happening every day to the parents and teens who come to The Fold with a willingness to change. Our ministry is fully equipped to deal with the struggles teens face today. Whether it's the emotional scars of abuse or self-harm, teens who struggle with addictive issues or anger, or teens who simply need someone to come alongside them and offer grace and acceptance, we are here for you.